Our classes are taught by knowledgeable, personable, real world instructors who will guide you in the right direction. Down Zero Training will be sure that your individual needs are addressed and satisfied to your fullest expectations. obtain a MA LTC or FID in one class! 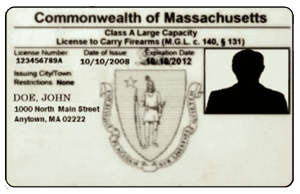 If you are looking to get licensed in the state of Massachusetts, the class you need to take is Basic Firearms Safety. Please see details on the Class Schedule page. *DZT LTC Guarantee – If you are not statutorily disqualified from receiving an LTC and you have completed the application submission correctly and honestly, DZT will refund your BFS class cost and/or help you fight for your license should you be denied.